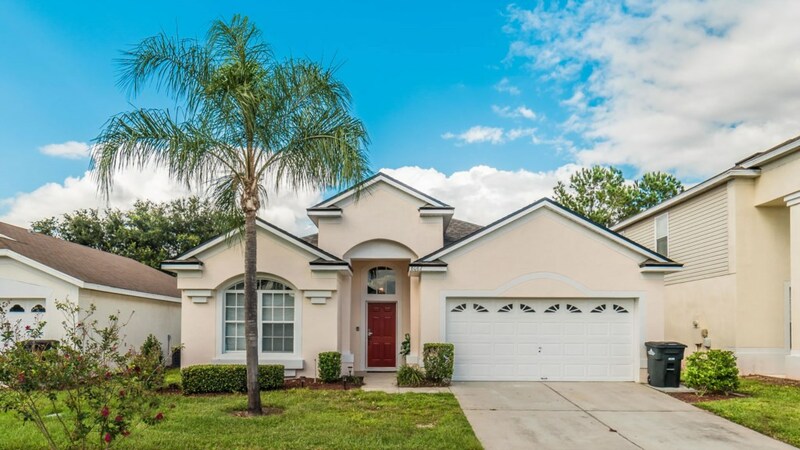 Welcome to Central Florida, where sunshine adds life to your life! 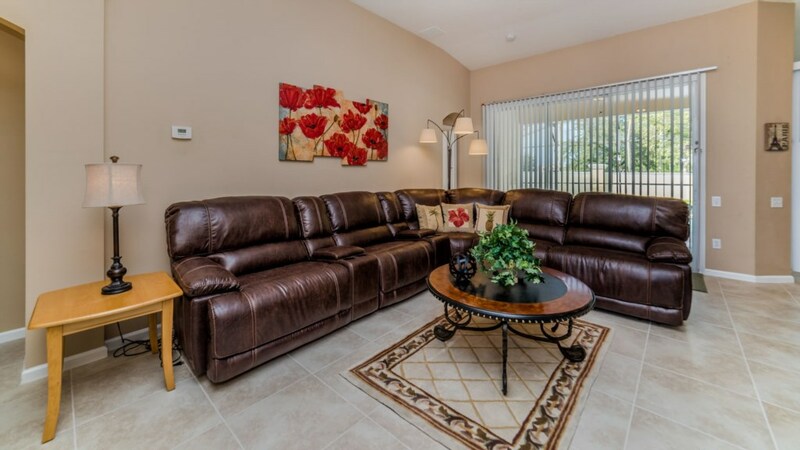 This vacation home is surely to excite as it boasts plenty of space for your family and guests. 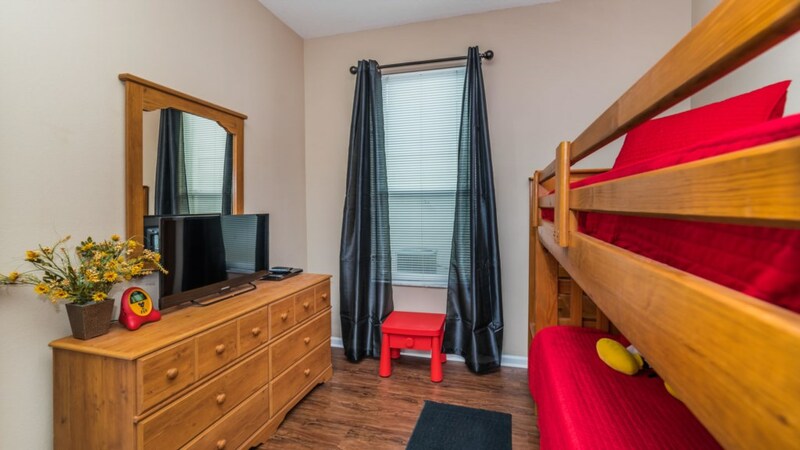 It sleeps 8 people comfortably with 1 king bedroom, 1 queen bedroom, 1 bedroom with twin beds and another with a set of bunks – so much fun for the kids! ? 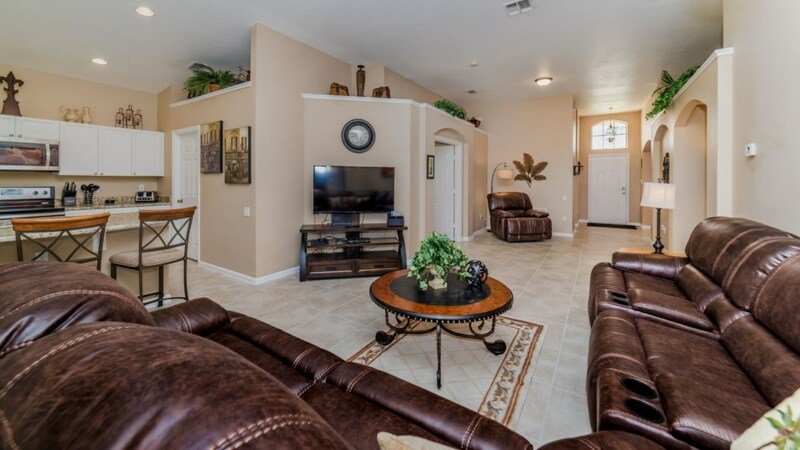 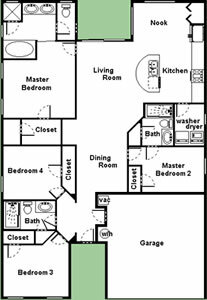 ?This is an open concept floor plan allowing everyone to be together, whether you are hanging out watching your favorite show on one of the 50-inch flat screens or cooking dinner. 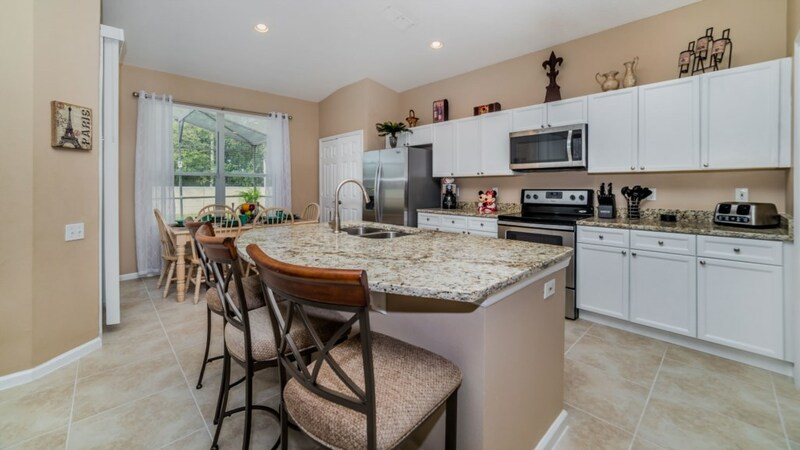 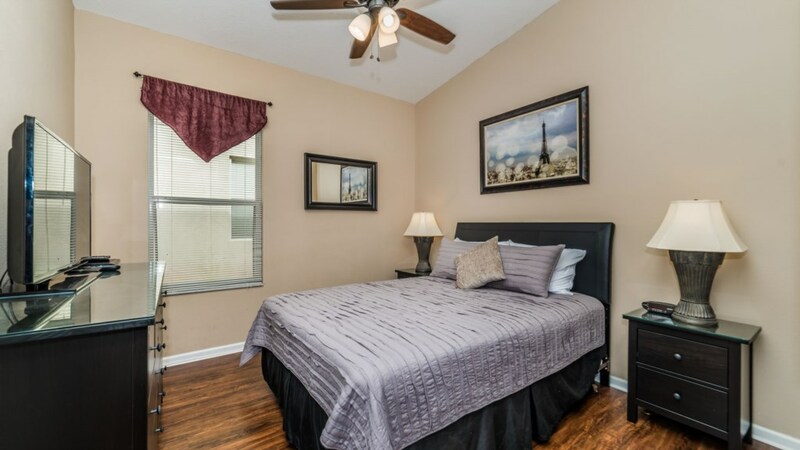 The fully equipped kitchen has all that you’ll need with wonderful granite countertops and stainless steel appliances. 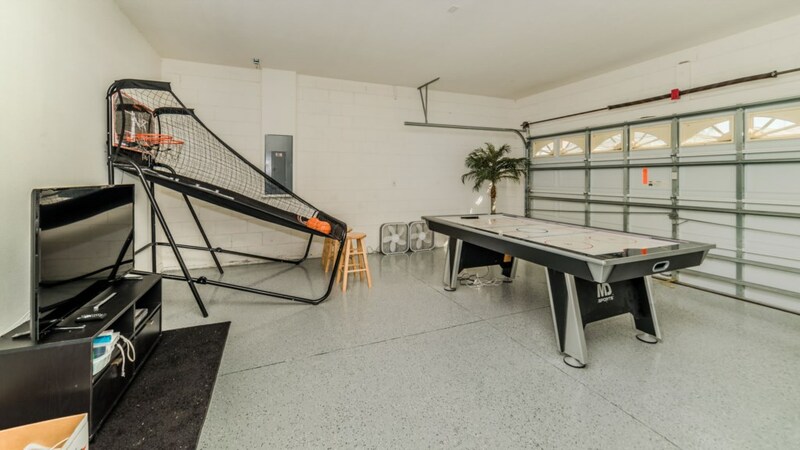 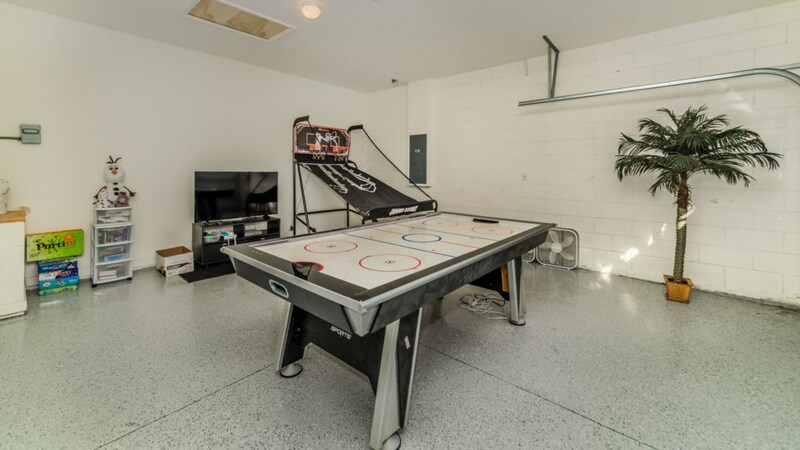 There is a game room complete with basketball and air hockey; fun for the entire family! 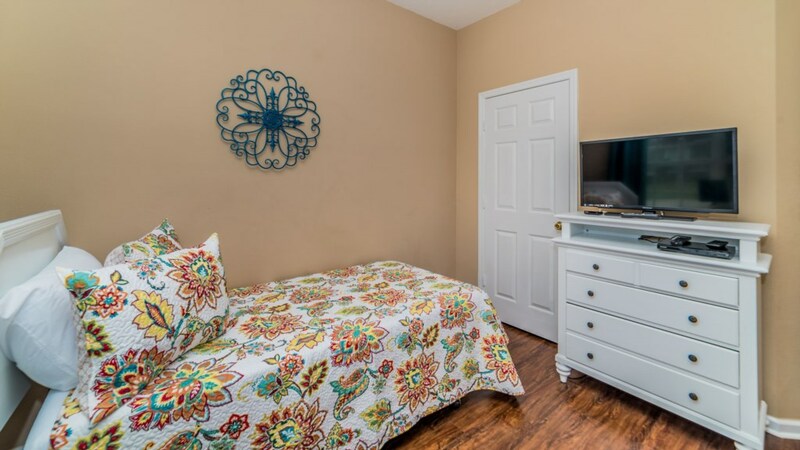 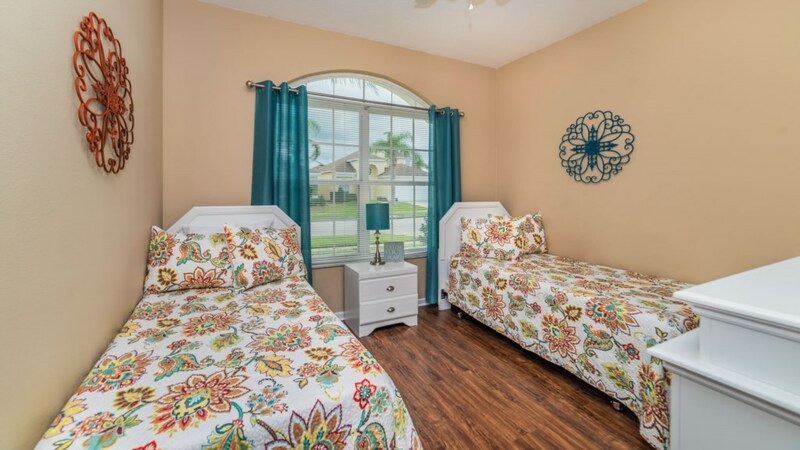 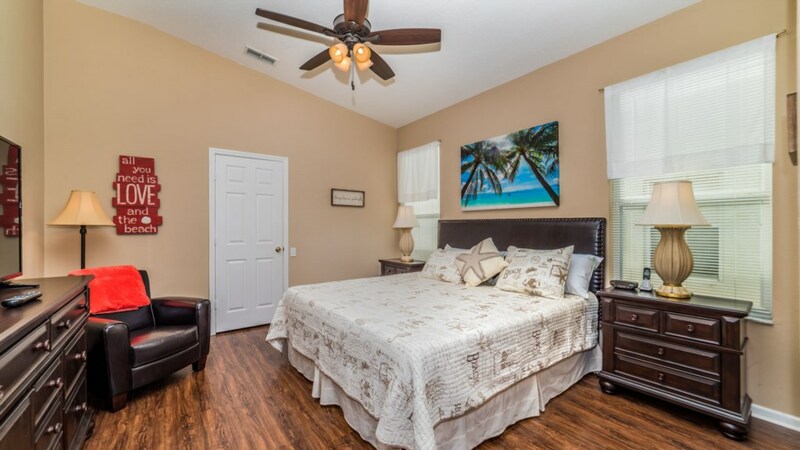 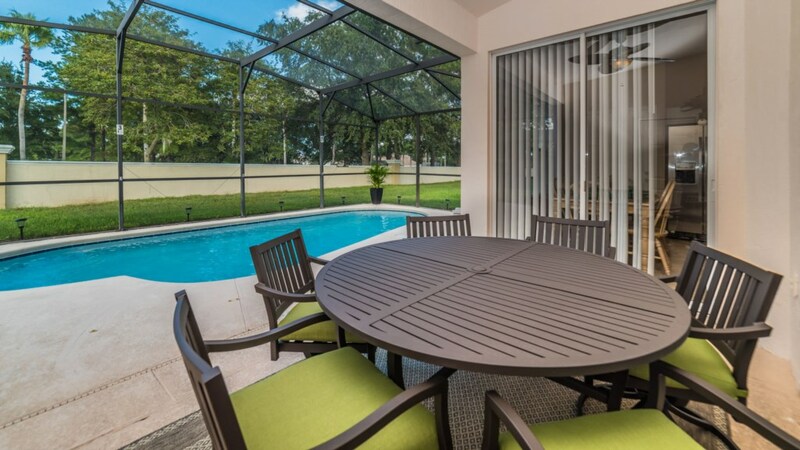 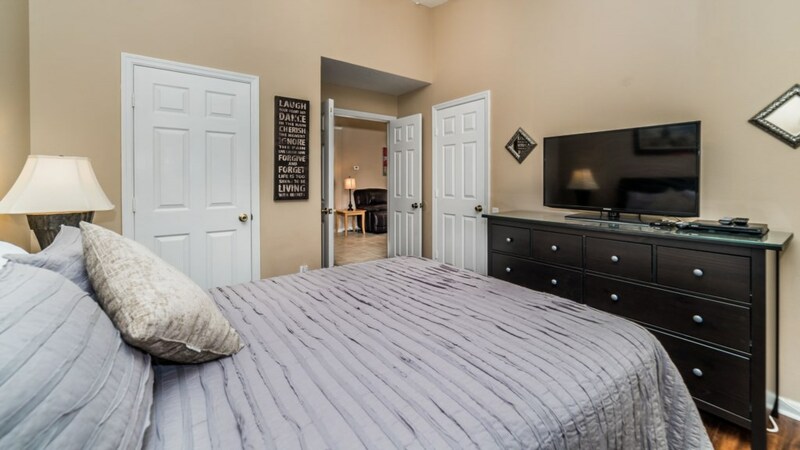 After a long day in the parks or other Central Florida attractions, you will love your very own pool and screened lanai, complete with a chaise loungers and a dining table; a perfect spot to enjoy the Florida sun and relax. 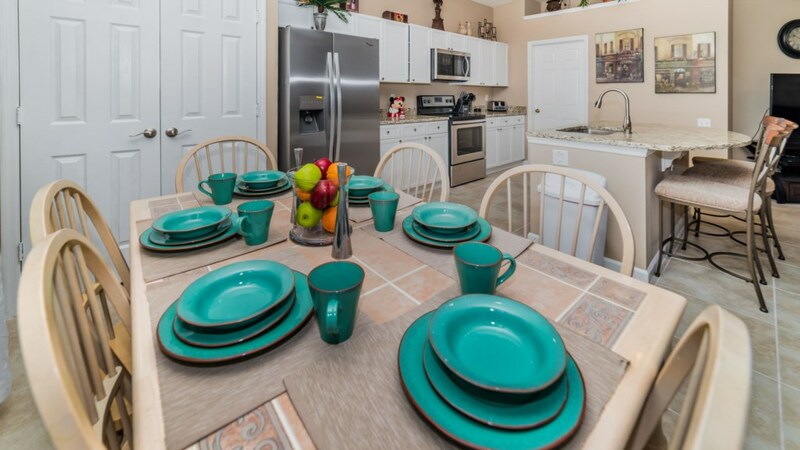 Please don’t hesitate to call and speak to one of our reservationists today or book online. 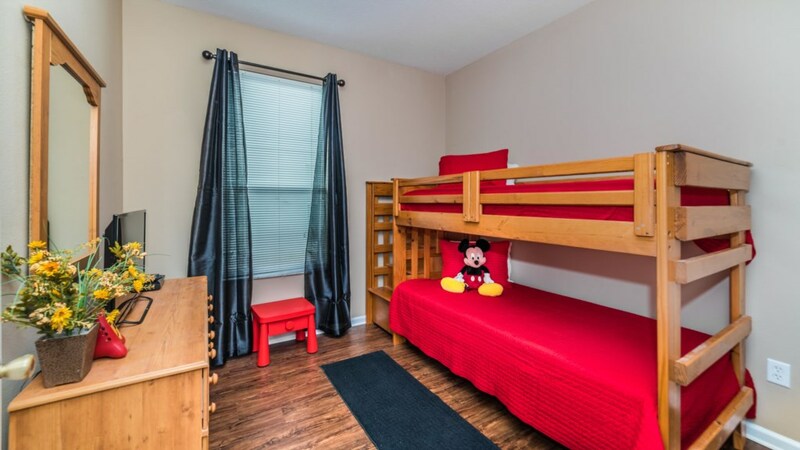 We look forward to your stay with us!